Sloty Casino UK is an exciting and modern casino with lots to offer all players that really enjoy slot machines. 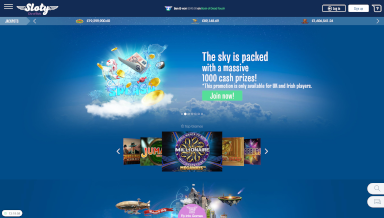 There is no need to download this casino, as all game sections are available online. In addition to slots, they also have a nice selection of table games, like blackjack, roulette games, video poker and more. 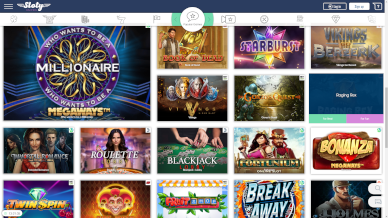 In this Sloty Casino review we take a look at the different sections of the site, as well as their features and promotions. Sloty Casino has a remarkable selection of games, with over 1300 titles from the world’s top providers. Enjoy a wide range of games from leading software developers like Net Entertainment, Microgaming, Play N’Go and Evolution Gaming. Casino bonuses and promotions is something all players appreciate, simple because it makes it even more fun to play games online. The good news is that this casino has a lot of different bonuses to offer, starting with the welcome bonus that includes both free spins and bonus money. New players are given $1500 & 300 Free Spins in bonuses. The Free Spin can be used in Starburst, Gonzo’s Quest, Red Riding Hood, or Aloha. 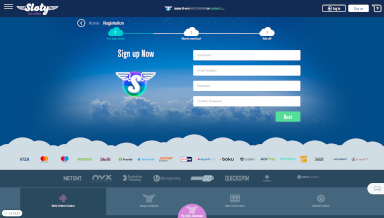 Just remember that deposits made via Skrill or Neteller are not eligible for the welcome offer. When you make the first deposit you immediately get 30 Free Spins, then you get 30 per day for 9 days that you can use on selected games. There is also a new game each week, called the Game of the Week, with bonus spins and bonus money, so remember to keep an eye on the promotion page. As this is a modern and professional casino, all necessary features and functions are in place. 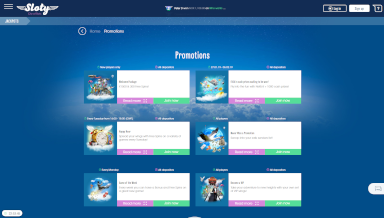 All players are able to make quick and secure payments, choose from a wide range of different game types, and play on all devices. The game section consists of several categories, like Live Casino, Blackjack, Online Roulette, Online Slots and Poker Games. There are also several jackpot games available, which is great for players that are looking for life changing wins. Players can deposit money via Debit Card, Maestro, MasterCard, Visa Electron, Bank Wire Transfer, Visa, GiroPay, Trustly, and Zimpler. When it is time to withdraw money, you can use Neteller, Entropay, Sofortuberwaisung, EcoPayz, or Skrill. The withdrawal limits are 5500 USD/EUR per week, 22 000 USD/EUR per month. Slot Casino has a great support team that can be contacted via email, telephone or live chat, which is open 24/7. You can also check out the FAQ-section for answers on general questions. This casino is not available to players in the United States of America and its territories, Australia, Iran, Israel, France and its territories, Spain, Denmark, Portugal, Romania or Turkey. To players that want to play casino games on the go, Sloty Casino mobile is available. When you play with a smartphone or a tablet you can enjoy everything from 3D slots to progressive jackpots and live casino games, so no matter what you feel like playing when you are out and about, Sloty Casino has you covered. You can login directly in the mobile browser, or download the Sloty Casino App for an extra smooth experience. The wide game selection is a big plus, and it is also important to mention that it is top-quality games from leading software providers. There is not much to complain about here, except that they don’t accept PayPal. This is a great casino for all players that enjoy slot machines, because it is a very safe and secure gaming site. Choose from hundreds of top-quality games and take advantage of several beneficial promotions and bonuses when you play at Sloty Casino. This is a casino that we can recommend British players.